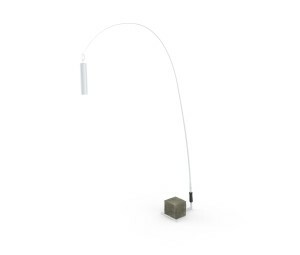 A luminaire that is a combination of a historical cobblestone and a fishing rod would already be interesting enough. Yet Wanda offers much more, as it has a LED-illuminant, which makes it light for 18 hours without recharging. Absolutely recommended to bookworms.